Tips and Tricks for the Muskoka Home Owner Snowbird to Prepare for Departure! If you are a Muskoka snowbird heading to the sunny south for the winter, here are some important things you can do to help protect your vacant home. Taking these steps can help protect your home from winter damage drawing the attention of those who would seek to steal things or damage your home while you are away for an extended period of time. Forward your mail, stop newspaper delivery, and ask a friend or relative to collect flyers or other items that may be left at your door or on your driveway. Arrange for someone to remove snow after storms. Install motion-sensitive exterior lights and put interior lights on timers and set them to come on at varying times to discourage prowlers. Confirm that your alarm systems are in working order and have been activated. Secure external doors and windows with deadbolt locks, security-type hinges and sturdy door frames that cannot be spread apart. Install slide locks or other equivalent security locks on sliding glass doors or French doors. Store valuables that you are not taking with you in a safe deposit box or other secure offsite location. Do not post your vacation or travel plans on social media sites, as potential thieves can use that information to learn that your house is vacant. If a pipe bursts or leaks while you are away, it could cause significant damage. Consider completely turning off the water supply if no one will be in the home for an extended period of time. REMEMBER, if your home is protected by a fire sprinkler system, do not turn off the water to this system. Drain your pipes of all water by opening the faucets and flush your toilet to clear the water from the tank and bowl, then consider pouring antifreeze in toilet tanks and bowls to prevent any remaining water from freezing. Do not use auto antifreeze, rather use non-toxic antifreeze rated for plumbing systems. To help confirm that the pipes have been drained, consider having a plumber blow compressed air through the pipes. If you decide against draining your water pipes, keep the furnace running to help ensure the home stays warm and the pipes do not freeze. Set the temperature at 10°C or higher to help keep the interior of the floor and wall cavities where the water piping is likely located above freezing temperatures. Keeping room and cabinet doors open also helps the heat circulate and warm the areas where pipes are located. Shut off the water to washing machines and dishwashers where possible, to avoid any leaks or broken hoses while you are away. Turn off the heat source and water supply to hot water heaters (if separate from your boiler). Shut off and drain outdoor water faucets to prevent freezing damage. If you have water treatment systems don’t forget they need to be winterized too. YouTube has lots of videos on how to do this or call a local expert if you need help. Consider having a water flow sensor and low temperature sensor installed on your main water supply pipe and hooked into a constantly monitored alarm system or your smart phone. Have your heating system inspected and serviced before winter. Have your fuel tanks filled before you leave and ask someone to check on heat and fuel levels regularly while you are gone. Have your roof inspected before you leave and clean your gutters to help prevent ice from building up. Remove dead trees or large overhanging limbs that could damage your house. Unplug all unnecessary appliances before you leave. If you have a landline phone make sure you can retrieve messages from the answering machine or voicemail so it does not indicate FULL or unattended when someone calls. Clean your home thoroughly to help discourage new “residents” from moving in. Clean, defrost and unplug refrigerators and freezers, wiping them dry and leaving doors propped open to prevent mildew. Also clean the oven. Inspect your home for openings that animals could use to enter. For example, make sure your fireplace flue is closed, as bats, birds and squirrels are known to get inside this way. Check weather-stripping, insulation and exterior doors and windows to ensure no major deficiencies are present. Water and insects can enter through these openings. Notify the police department that the property will be vacant and provide emergency notification numbers. Install smoke detectors on at least every floor (preferably tied to a constantly monitored fire alarm system so the fire department will automatically be notified in case of alarm) and confirm that the sensors and system are tested regularly. Ask a trusted friend, neighbor or relative to keep an eye on your home and be available in emergency situations. Give them access to your home so they can regularly monitor heating, electrical and water systems. This may be a requirement of your insurance and a minimum frequency of visits may be stipulated to prevent voiding your policy. Make sure you understand the requirements of your insurer. Have them also check the roof for ice dams and inspect for leaks inside. Make sure they have your contact information and a list of local contractors they can reach if repairs or service are needed. As your Muskoka Realtor I am always happy to help you find the resources you need to get your self ready for your winter away. October 17, 2018 is a big day for many Canadians who have wanted to see the use of recreational marijuana made legal. But what will the impact be on your Muskoka home and its future resale value? Will you choose to legally grow cannabis plants in your home? Will a home you wish to purchase in the future have been used as a “home grow” that may have caused hidden issues? Will being close to a legal commercial “grow op” impact value? Is being close to a retail outlet a pro or a con? These are important questions to think about. No regulation on safe growing. In a CBC interview the Canadian Real Estate Association (CREA) said the government’s plan to allow so-called “home grow” could lead to the spread of mould and other fungi in residences across the country — which could result in some costly surprises for home buyers. “There’s absolutely no question it impacts the value of the home,” Michael Bourque, chief executive officer of CREA, told senators, adding the physical effects of a grow op can often go undetected during a home inspection. 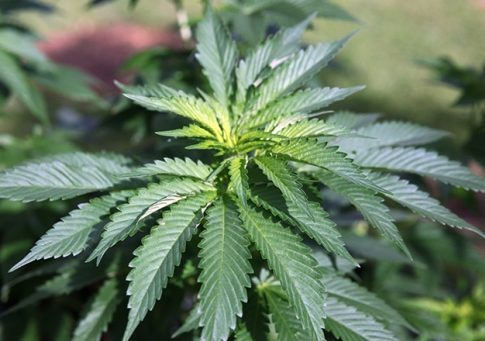 The new law will limit home marijuana growers to four plants per household. The government initially intended to limit plants to 100 centimeters in height, but the House of Commons approved an amendment that removed such a restriction. “On the surface [four plants] sounds moderate, but the legislation doesn’t limit the number of crops or the size of each plant. Four plants could yield over five kilograms a year, which has the potential to cause structural damage to dwellings and comes with associated health consequences,” Bourque said, noting the use of fertilizers and pesticides in the growing process could exacerbate environmental health risks in a home or a multi-unit dwelling that shares air circulation. The question of buying a home that has been used to grow cannabis or trying to sell one that has, may be of less significance that the proximity of home to retail and commercial grow facilities. In a recent Zoocasa story this was the data they discovered. In the journal “Real Estate Economics,” James Conklin and co-authors studied the conversion of medical marijuana stores to recreational marijuana, and the subsequent effect on housing prices in Denver, Colorado after legalization in 2014. Their research showed that homes located near converted stores experienced appreciation at 8% higher than homes further away. Realtor.com also reported on American cities having undergone a year of experience with recreational marijuana sales. Their data showed a significant increase in home prices — well above the national median price. The same data shows that while proximity to a pot shop tends to increase home value, Colorado homes close to grow-ops have lost value. Evidently, the pungent odor of pot is a sticking point for many American buyers. There is no Canadian data available yet, but it is something for us to watch. Will it be a “big deal” in the “big picture”? In a CBC interview Jonathan Page, a botanist who has studied cannabis extensively and serves as the CEO of Anandia Labs, said he doesn’t expect a new flood of grow ops to result from the bill and predicts most Canadians will simply opt to buy the product from a licensed provider. “I think this is an exaggeration. Canadians can produce their own beer and wine at home, grow tobacco for personal use, and yet the vast majority buy these products from stores,” he said. No matter what the future holds as a Muskoka home owner you need to be informed. Your choice to grow cannabis while legal may have more ramifications than you think. As a Muskoka Realtor you can rest assured I will be talking to my Sellers about stigmas, defects and disclosure; and ensuring my Buyers conduct independent research into properties they wish to purchase. For more information about marijuana legalization in Ontario, please refer to the Ontario Governments web site. It’s Time to Change Your Clocks and Check Your Smoke Detectors Muskoka! This month we “Spring Forward” and that signals that it is also time to check your smoke and carbon monoxide detectors. In accordance with the province of Ontario and the Ontario Fire Marshal office as well as standards set by the NFPA (National Fire Prevention Association) for fire prevention residential dwellings must have smoke detection devices installed and in good working order. This rule can be found in subsection 6.3.3 of fire code, but far more relevant, it should be found in our hearts. A desire to protect our family and even the Muskoka real estate we have worked so hard to own should be paramount to each of us. Sadly, we all know what it’s like to hear that screeching siren of our smoke detectors when we burn toast or even worse something in the oven! Then, there is the annoying chirp of the cottage smoke detector with the battery out of juice, which we have been meaning to replace. Going to the extreme of disconnecting, or removing the batteries and then even failing to replace them when needed, can be potentially fatal. When we are tempted to disable an alarm for temporary relief of an annoying sound, we do not intend to get caught up in our busy lives and to forget to re-place or re-connect the detector. But if the time comes that there is a real fire emergency, seconds count and a functional smoke detector truly can save the lives of your family and yourself. It is so important to not become complacent as Muskoka property owners or in fact property owners anywhere! Just having a detector in your home is not enough. You need to makes sure they are operational. Most new homes have hard wired smoke alarms and by regularly checking the “power on” light to ensure it is operating is usually sufficient. In battery operated smoke detection units, changing the batteries annually and pressing the test function button monthly is the recommended method by fire safety professionals. With a battery operated unit, an intermittent beep can be heard for about 7 days prior to a complete failure. This is designed to let you know the batteries are wearing out and need to be replaced immediately. I know we tend to think of it as an annoyance but to ensure optimal operation of the device and that it will be working in the horrid event you need it, change the batteries when you hear the signal. In the case of rental properties, the property owner or landlord is considered to be the owner and therefore is responsible for installation and maintenance of smoke detectors and alarms. While the occupant of the residence, can be held responsible for disabling or making the alarm device inoperable it is the duty of the landlord/owner to inspect these units regularly and give the tenant notice to not disable them if they have been found to have done so. Failure to maintain and keep detectors in working order is a violation of fire code and is punishable by fine, imprisonment or both. Please take care of your family and your beautiful Muskoka property, make sure your smoke alarms and carbon monoxide detectors are all operational today! Doing an inventory of your Muskoka Home – Wise on so many levels! Documenting your household’s contents is an important step we should all take. Of course the obvious reason for making this list is for your household insurance however, there is another significant benefit. Creating the list is an awesome way to help you streamline your belongings. You may have heard of, or even created, a home inventory before but here are some tips to create a thorough home inventory and streamline your belongings at the same time. Choose your checklist. The first step in making a home inventory is getting your hands on a comprehensive checklist — one from your own insurance company is best or you can use this free spreadsheet from Vertex42. The simplest way to approach it is to walk through your home, room by room. It can be a bit of a tedious process so you may want to divvy up the task over several weekends. 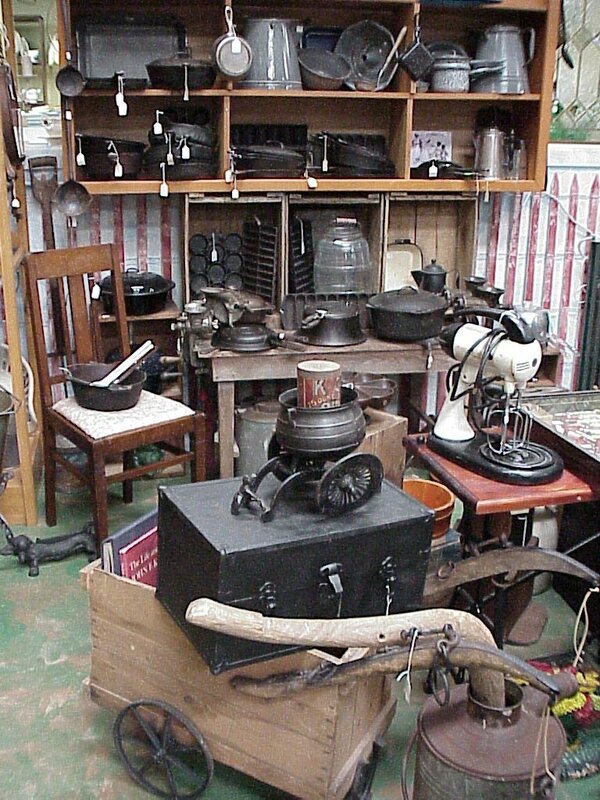 Record a brief description of each item, how many you have, how much it cost and the year you purchased it to the best of your recollection. If you happen to know where the receipt is snap a picture of it. Cover every room, closet, shed, the attics, the workshop, porches and garages. Everything should all be carefully examined and documented. Add photos or videos to expand the list. Whether you are taking photos or video, start at the front and work your way through each room — try to go in the same order used on your checklist. Consider adding a map! By noting down where exactly in the house everything is stored you can easily find something, whether it’s an emergency or just time to hang the Christmas lights. Use an actual floor plan if you have one; if not, you can create your own simple sketch of each floor of your house. Being as specific as possible, note where in each room boxes or other items are stored. Keep paperwork in one place. Gather receipts, credit card statements, appraisal documents and the like, and keep them bundled with your other home inventory materials. Consider taking the time to scan everything and store the digital archive in at least two places. Small household scanners are becoming easily accessible and are a very useful tool. Your newly created list is a fantastic tool. It will give you an overview of all your stuff and make seeing the duplicates and unnecessary items simple. It will also make it easier to purge as the checklist can give you some emotional distance that is sometimes hard to have when trying to give up things. Read over your list and mark items that you have a lot of. Do you really need all of those extra dishes? Start a list of things you want to sell or donate. Highlight valuable items. Especially note valuable pieces you’ve been holding on to for a long time but are not necessarily using. Do online research and estimate what you could sell the pieces for. Would you rather have the extra space and money? If so, let those pieces go! If you have plans to give a special item to members of your family this is a great time to make a special note of that too. Make a plan to have the “Junk” picked up or schedule a trip to the dump. There are many organizations that will happily accept your donations and some with pick them up. It will be hard work so don’t forget to schedule a reward at the end…but not one that involves buying more stuff! Once you have gotten rid of the excess it is time to box up everything you are keeping and not using. Containers instantly make things look neater, and it’s also easier to shift items around or grab a box you need rather than trying to unload armfuls of loose stuff from a shelf. Use storage for rotating items too. Free up space in cupboards, closets, shelves and counters for the items you actually use daily, and pack away the rest. This is one of the best ways to make your life easier, without getting rid of a drastic amount of stuff. Simply rotate in fresh dishes, linens and decorative items seasonally. Update your inventory. It may seem like a bit of a hassle but it really will keep things decluttered and easy to manage. Anytime you buy something new or get rid of something on your list, pull out that inventory and note the change. Remember it is much easier to keep clutter at bay than deal with it after things have gotten out of hand. The most important thing to do with your list is to keep a copy of your inventory offsite. Use a safe-deposit box or an online cloud-based storage system to keep your home inventory and all supporting documents secure. Remember, a clutter free home is easier to sell and easier to move out of so if you anticipate selling your Muskoka home getting it organized, will be something you will really benefit from.